Offer good through the month of February 2018, cannot be linked to other offers or discounts. By appointment only. Is Thai Foot Massage different from Reflexology? This is a question that we are often asked. The main difference between Thai Foot Massage and Reflexology is the emphasis on massage with the Thai treatment. Reflexology is about working on individual reflex points with some gentle massage techniques. Where Thai Foot Massage is the use of massage to open up and encourage the flow in the Sen energy channels. Thai Foot Massage covers all the reflexology points by thoroughly massaging the lower leg, feet and ankles. Thai Foot Massage follows a set routine that promotes a feeling of well being. Thai Foot Massage is superior as it works the muscles and joints of the lower legs and feet to anything else, if you find yourself with achy and painful feet or legs at the end of the day, try Thai Foot Massage. Last week I wrote about Sound Therapy This week I’ll set you off on a journey to help you discover Meditation. 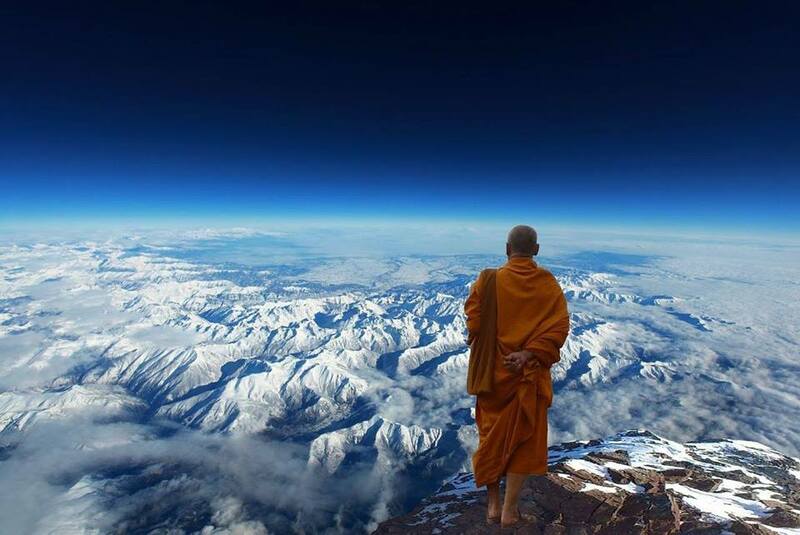 When any of us think of meditation we think of a number of Monks sitting cross-legged in a monastery or temple high in the Himalayas. That vision is what got me interested in Buddhism and meditation. The high in the Himalayas part anyway. I had read Sir Edmund Hillary’s book “View from the Summit” which gave me a burning desire to learn more about this far away place. I researched, as best you could in the early 60’s, the Dali Lama and Tibet. I even managed to get through the , “Tibetan Book of the Dead” and that got me interested in Eastern religions and philosophies. Shortly after I decided I would practice Buddhism and learn to Meditate. Meditation was hard for me as I had no one to guide me through the steps and for years I blundered through thinking I was doing it right. Not always. Finally I sorted it out and learned how to clear my mind. In that time I learned that there are many levels to meditation and not all of them relate to oneself all of the time, if ever. If you become a monk and spend your days studying scripture in the Pali Language you may aspire to reach enlightenment, for the rest of us probably not. It may not have anything to do at all with religion. Meditation is great for slowing your heart rate and lowering your blood pressure, stress relief, pain management and a whole lot of things you don’t think of like depression and anxiety. Meditation can make you happier, helps you focus and lets you sleep better. We offer one on one guided meditation to help you on your way to whatever is your goal. What exactly is Sound Therapy? 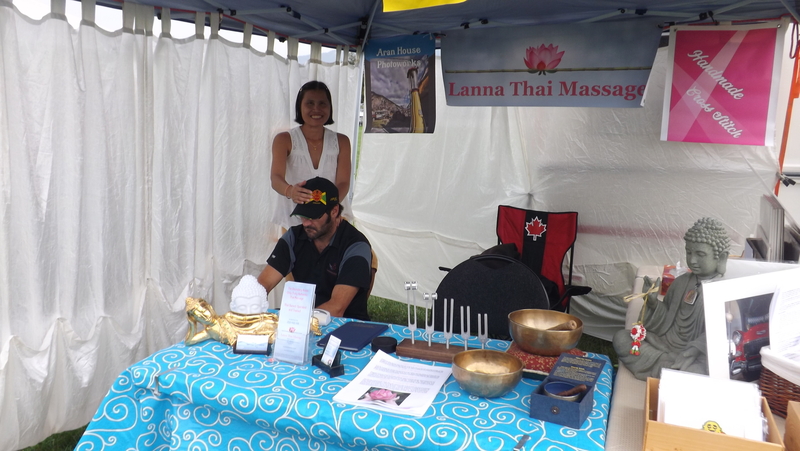 At all the Fairs and Festivals that we have attended this summer one thing that is always ask, “What exactly is Sound Therapy?”. It’s not an easy task to explain is a few minutes so we thought we would explain it in a bit more detail. Sound Therapy is often described as Sound Healing, Biofield Tuning or Chakra tuning. In essence they are all the same with some subtle differences. We call our Therapy, “Meditative Sound and Vibration Therapy” because we use all three often at the same time. 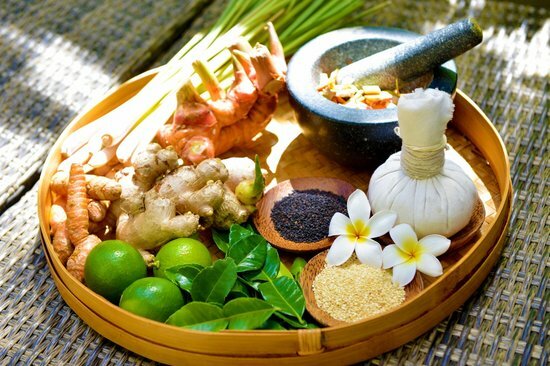 Are we different from the others, not much in reality, other than we have tuned our sound program to work in harmony with our Thai Massage therapies. In Thailand energy is called Prana, in China Chi, in Japan Ki, and in India Prana. They are all the same. In Thailand the lines are called Sen lines which are the same as the meridians in traditional Chinese medicine and the energy field around them are called Prana as in India, coming from the Pali language which is the basis of Thai Buddhism even today. Is there a difference between the well known 7 Chakras of India and those in Thailand. The answer is none at all. Thai Massage was developed out of Indian Yoga and Indian thinking. Our sound therapy follows the same 7 Chakras – Root, Sacral, Solar Plexus, Heart, Throat, Third Eye and Crown. People in the west have adopted these Indian terms and so have we. We believe that the internal and external can be brought into harmony using sound. Tuning forks create a resonance throughout our physical and emotional bodies. The notes first make contact on a spiritual and emotional level, and then on a physical and mental level. We also use other items like Tibetan singing bowls and other instruments to create the sound we want to work in harmony with our client. Sound therapy is much like music which can make you feel sad, happy, refreshed, restless or relaxed. We get bombarded with sounds and spurious waves constantly from our phones, WiFi, smart meters, televisions and even our cars. Sound therapy strives to make you feel regenerated and one with your surroundings by realigning the natural resonance of your body. When the note of each chakra is played on a tuning fork that sound can be directed toward the corresponding part of the body. Additionally, the stem of the fork can be placed on the corresponding part of the body or spine so that the sound is clearly felt as well as being heard. To enhance the experience, when two forks are struck together it creates both notes individually, however a third harmonic frequency is experienced. This can be taken a step further by using multiple forks, creating a multitude of frequencies, harmonics and overtones. This sound immersion must be experienced to be fully understood. We also teach meditation techniques to help our clients relax, sleep better or overcome chronic pain. We’ll discuss that in more detail in a further blog. The Fall Fair is finished for this year and it was interesting. We wanted to introduce our new business to the community and from that point it worked well. 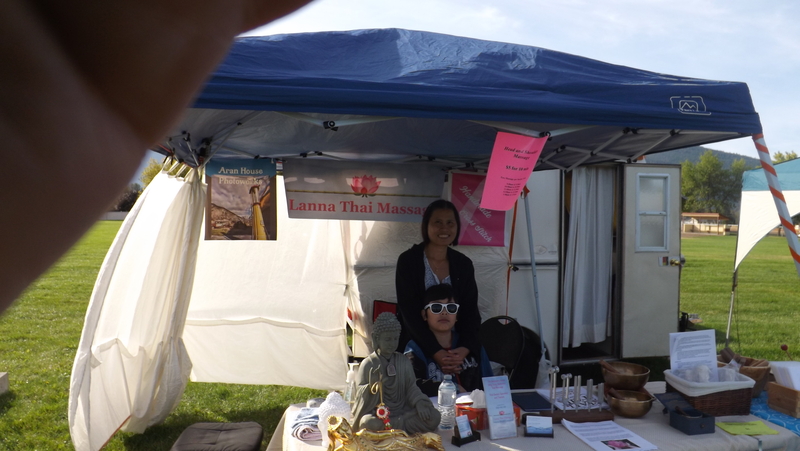 Lak did short 10 minute Head, Neck and Shoulder massage for $5 for 10 minutes. By the end of the first day (8 hours) here arms were almost numb from all the work. There were times we had a lineup of 3-4 people waiting. Day two we changed the system and Aran setup a schedule and gave people times. That system worked well and Lak had a chance to rest and even got lunch. We also had a chance to introduce our Sound Therapy and it was surprising how many people were very knowledgeable about sound and vibration and it’s relationship to ones health. She also sold some of her cross stitch cards and a few of our Thai Herbal balls that we import from Chiang Mai, Thailand. We also met a lot of really nice people from all over the country. The first day was a bit smoky from all the fires in BC and the US but it rained in the afternoon for a short while and that cleared the air. The second day it was dry the air was clear and the sun was out which was a welcome change from our weeks of smoke. Finally everything has been done and we are “Open for Business” and taking appointments starting today. Call us at 250-442-1411 to book an appointment or for information. We are now complete. We’ve completed all the construction and are only waiting for our business license to arrive. From what we understand we have jumped through all the hoops and navigated all the red tape. The inspections have been done. Fire and health were the big ones we had to wait for. We are now just waiting for our Business License to arrive. Our new opening date is September 1. We are now booking reservations so call 250-442-1411. It’s taken a lot longer than we thought but the light at the end of the tunnel is at least on now. The studio itself is 100% completed and ready to go. Or washroom on the other-hand is about 85% done but nothing major now needs doing. The electrical is done, the plumbing is done, the floor is done and our feature wall is done and stained. Now all we have to do is a bit of drywall sanding where we had to knock a hole in the living room wall to get the bathtub into the bathroom and hang the door. So we are almost ready to open a few things to tidily up and get our business license in place and we’ll be ready to go. We are now planning for the week of August 18th as our opening date or maybe even sooner.